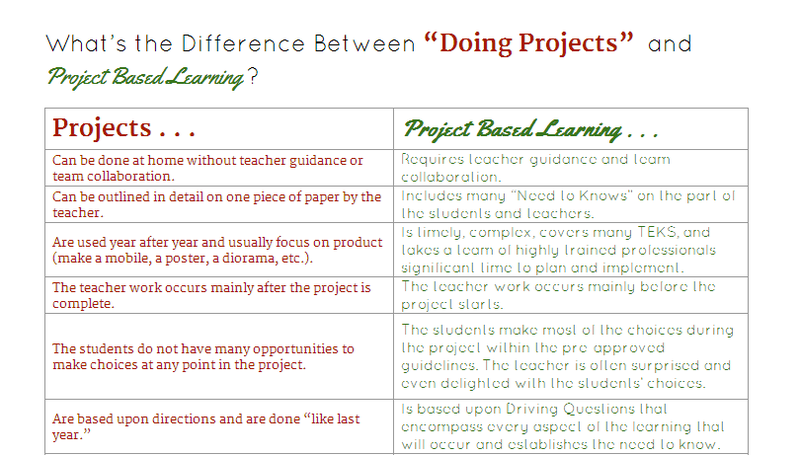 Amy Mayer recently published a nice chart that breaks down the differences between "doing projects" and "project based learning." The chart, which you can get in its entirety from Amy's blog, does a nice job of breaking down the differences between these two commonly and incorrectly interchanged terms. 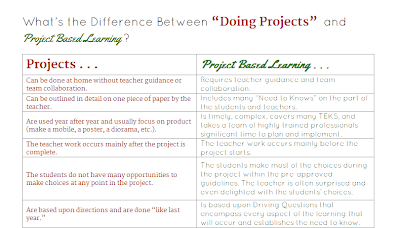 Amy published the chart using Google Drive and you can get a copy to save in your Google Drive account if you visit Amy's blog. This is a cropped image of the chart. The actual chart is much longer.